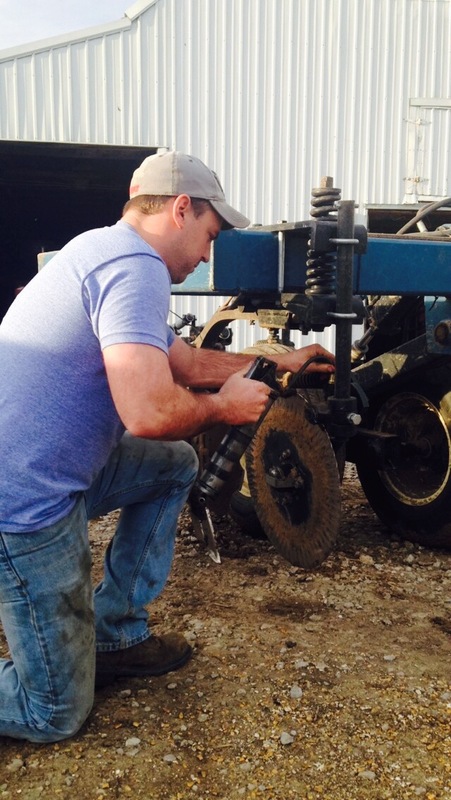 Anhydrous is complete for this season, Jerry is getting the toolbar all cleaned up and ready to be put away. 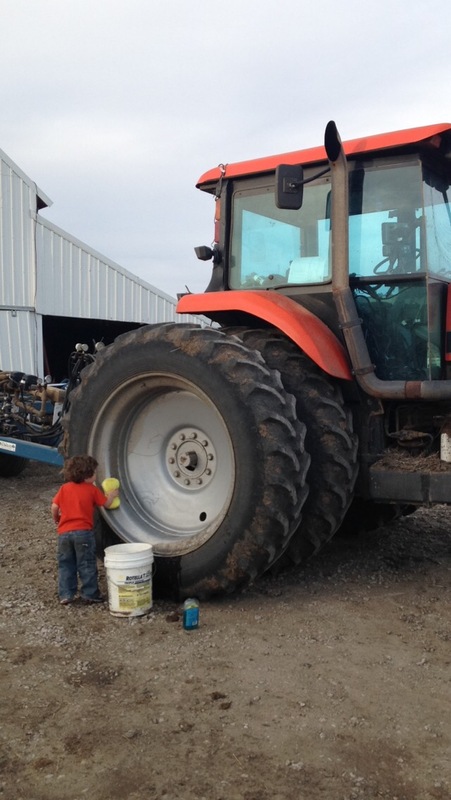 His nephew thought his tractor wheels were a bit dirty and decided he would help us clean them. We’ll take all the help we can get. When he finished up all the fields he texted to let me know he was done. Jerry says when he finishes up a season or goes over the last field of the year he always hears “We are the Champions” playing in the background. I wonder if other farmer’s daydream about that song? Next up he is moving right into spraying pastures and then pre corn and doing some dirt work before planting begins. He is hoping to start planting around April 10-15th. It has been so beautiful out lately, everything has started to turn green around Nebraska. 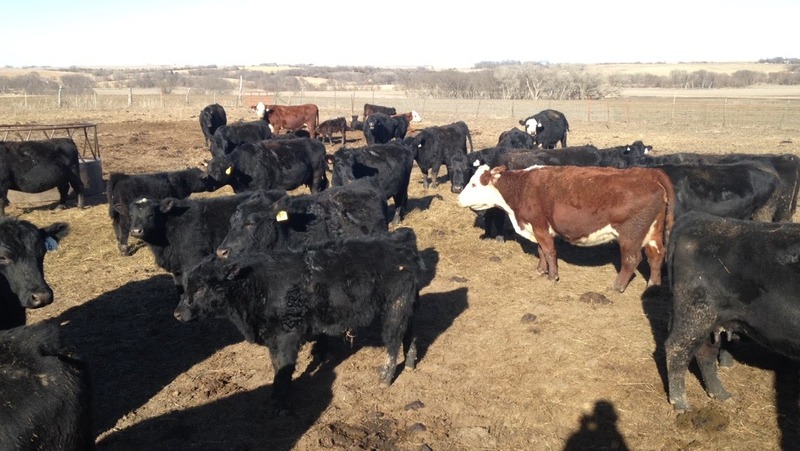 The farmers are all out in the field and new baby cows are everywhere you look. My farmer has been going non-stop anhydrousing his own fields and doing some custom work for neighbors. Anhydrous Ammonia is a type of nitrogen agriculture fertilizer that is stored in tanks and compressed into a clear liquid. 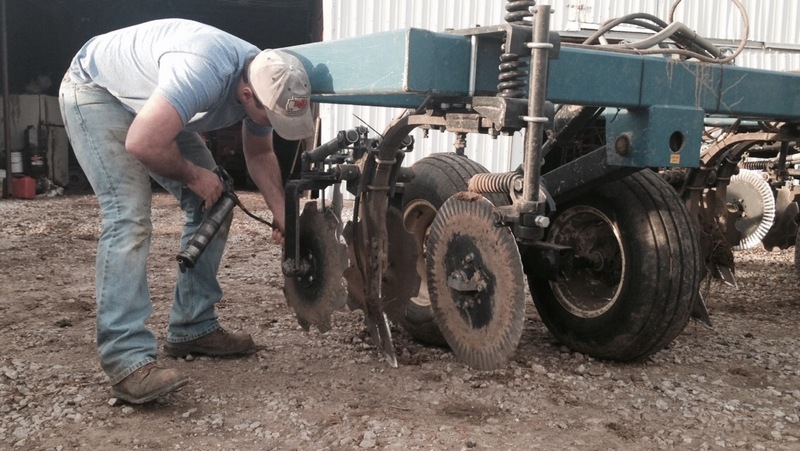 It is inserted straight into the ground by the toolbar applicator. 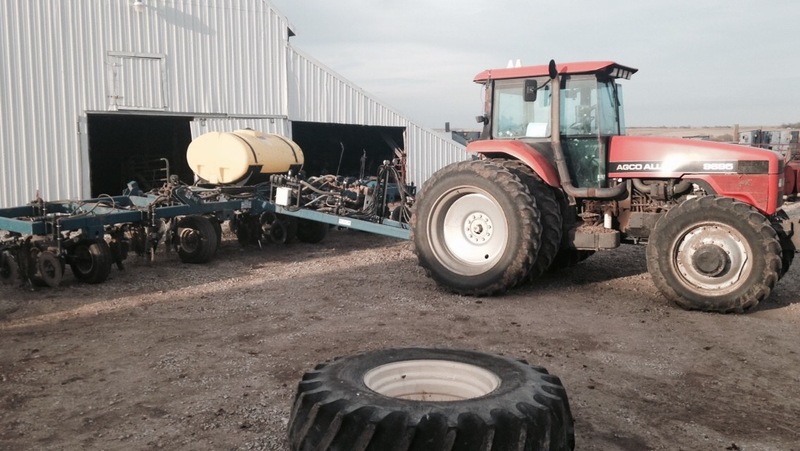 My farmer is putting the anhydrous on his fields as fertilizer for the crops he will begin planting in a few weeks. Jerry anhydroused 800 acres of his own and 400 custom acres for neighbors. 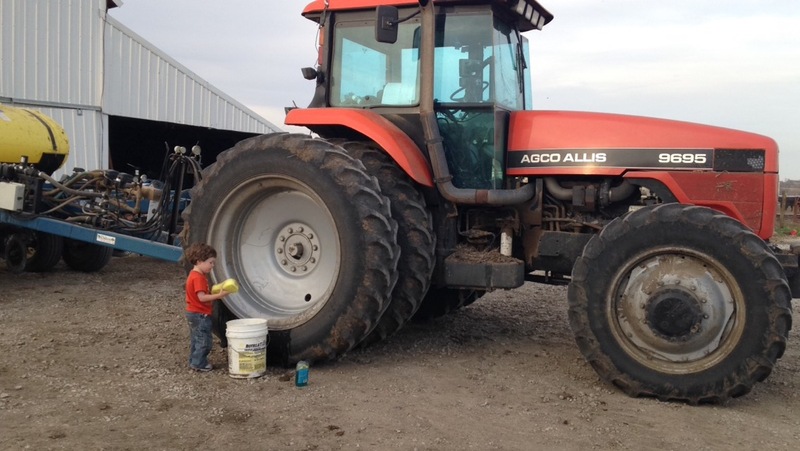 He put on 140 lbs of anhydrous and dual placed 10 gallons of 10-34-0 per acre. 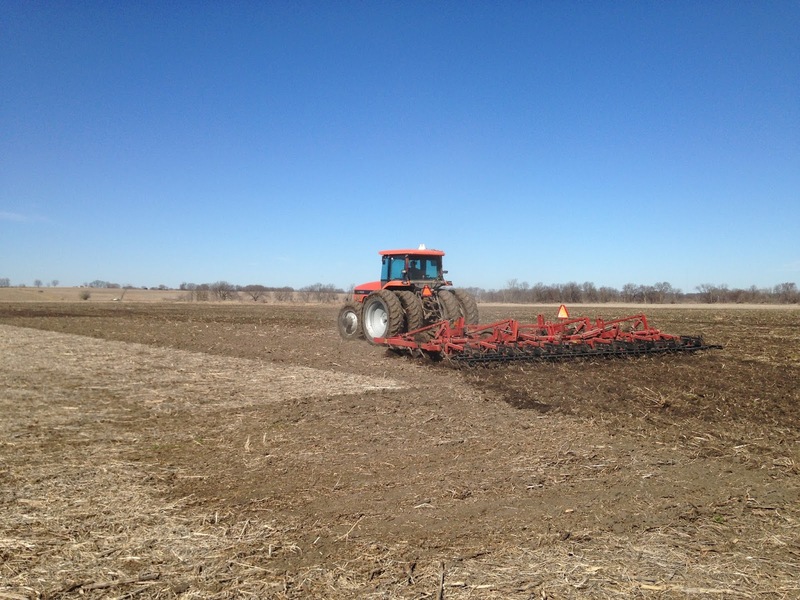 On a beautiful Saturday in March it was nice enough to do some field work. 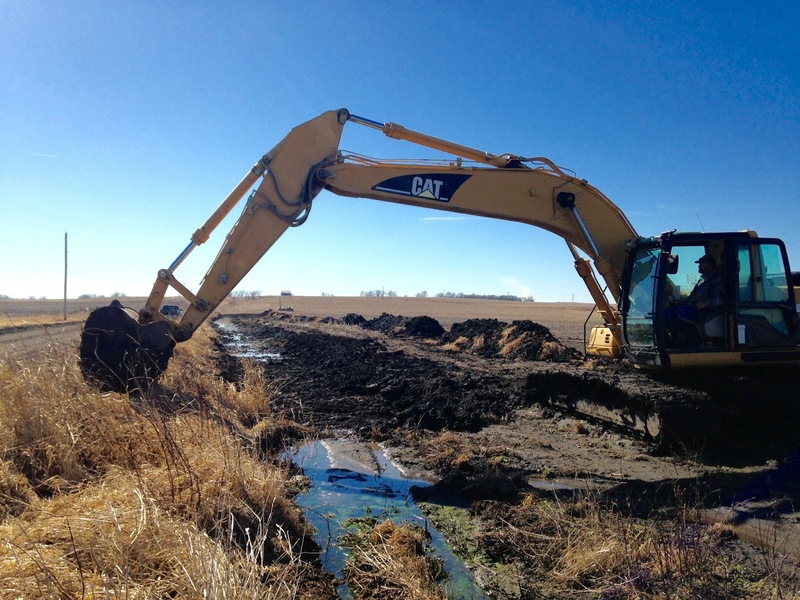 The bulldozer work is hired out and a drainage system is being put in. 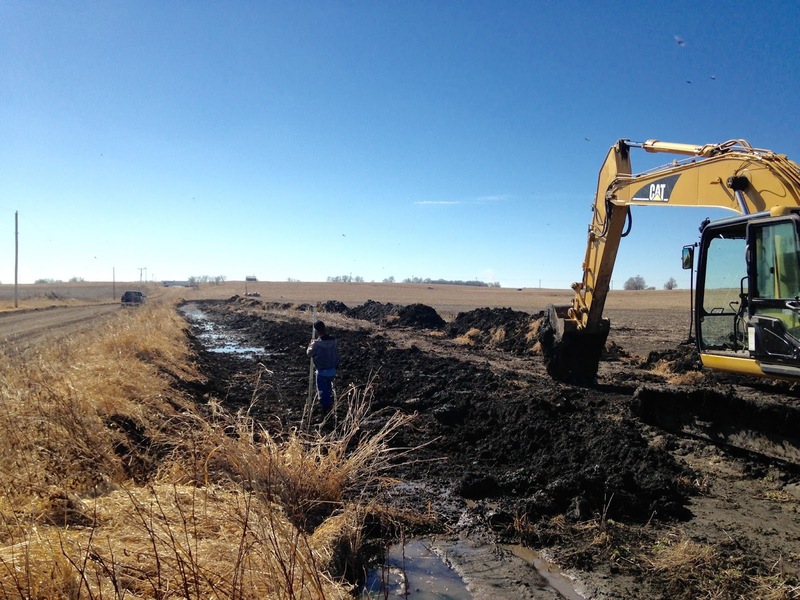 During especially wet spring seasons this field is so flat it would typically flood so a better draining system is being put in place to keep the field from having standing water. 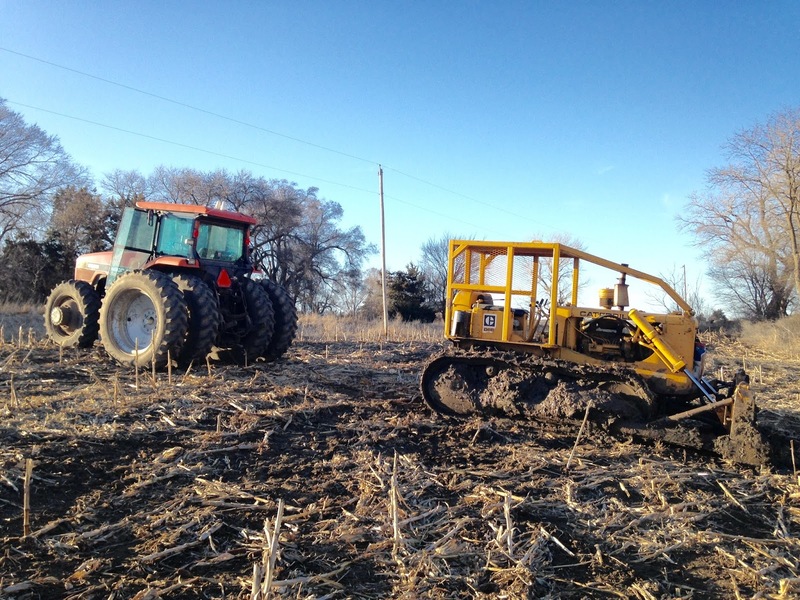 Standing water and saturated fields can slow root growth, photosynthesis, and leaf area expansion because of the lack of oxygen to the plant and cooler soil temperatures that come along with wet soil. Crops that have just sprouted can only stand 2-4 days of complete submission before the photosynthesis stops and the plant dies, this is why tile lines and drainage systems are very important to the farmers survival. 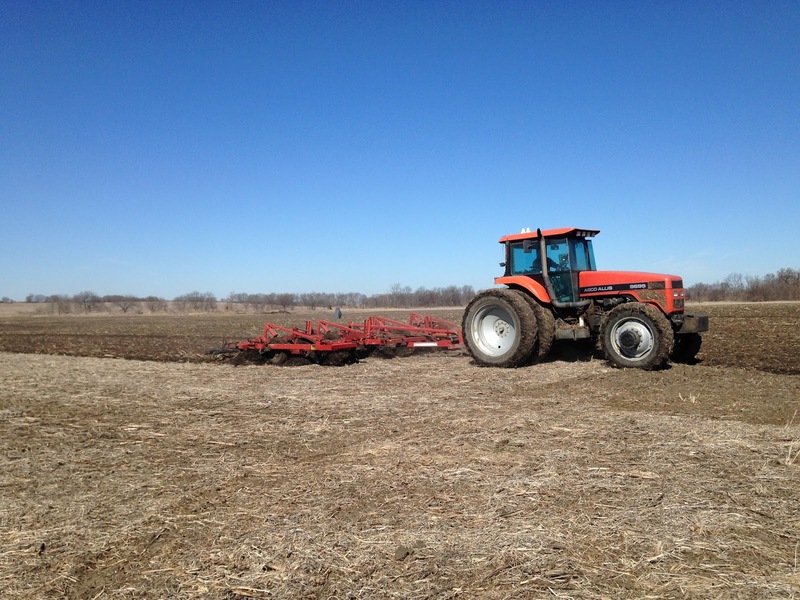 While the dozer work was happening my farmer was cultivating on that same field getting it ready for planting. in previous years half of this field would be planted to soybeans and half to corn but in an effort to spend less time during harvest the field will all get planted to corn this year. Having the field all in one crop will mean less time will be spent moving fields during harvest and should allow them to get done quicker. We’ve almost made it through the winter here in Nebraska, and the groundhog saw his shadow so it should be an early spring (not to mention we live in the Groundhog capital of Nebraska). Jerry is so ready for spring, he can barely contain his excitement, aka he just wants to go back to working 80 hour weeks. 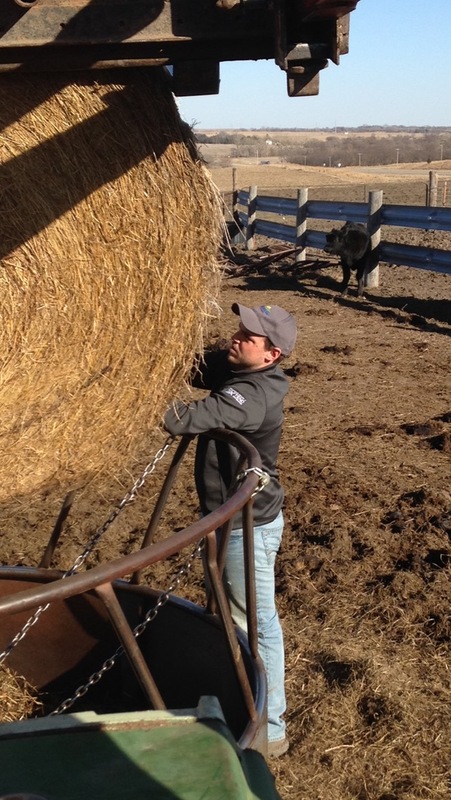 The ground being unfroze now means he can finished dozing on some fields he started last fall and finish getting the fertilizer put on for the coming year. The ground may have been a little two wet in an area he was dozing Saturday because I got a phone call saying he needed my help pulling him out of the mud….